Every year, through a rigorous open application process, TED selects a group of rising stars to be TED Fellows. They choose Fellows based on remarkable achievement, their strength of character and on their innovative approach to solving the world’s tough problems. 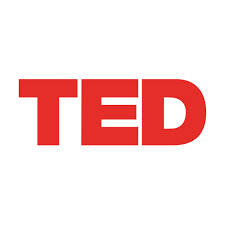 Fellows are invited to attend a TED conference, where they meet, exchange ideas and connect with the larger TED community. They also give their own TED Talk – an unprecedented opportunity to disseminate their unique ideas to the world. They look for different applicants than many other leadership-oriented programs. Instead of business people, professionals, policy wonks and government officials, the TED Fellows program focuses on doers, makers, inventors, advocates, filmmakers and photographers, musicians and artists, scientists, entrepreneurs, NGO heads, and human rights activists. In addition to impressive accomplishment, fine character and a good heart are two very important traits they look for in a every potential TED Fellow. More than anything, this focus on character has defined the success of the TED Fellows program. Candidates may apply to attend either TED or TEDGlobal. They welcome anyone over the age of 18 to apply. They choose 20 Fellows to attend each TED Conference.